Become part of the best volunteer team in Douglas and Elbert counties and join over 300 volunteers who helped over 16,000 of our neighbors last year! In 2017, volunteers provided 47,986 hours of service, the equivalent of 23 full-time staff. Last year, 94% of our budget went directly to helping our clients, in large part due to the gift of time given by our wonderful volunteers! We have a place for you on the volunteer team! Morning and afternoon shifts are available Monday through Saturday, with a monthly time commitment of about 6 to 10 hours. Of course, you can serve more than that. We also have many opportunities for businesses, community organizations, churches, small groups, families and individuals to serve in half-day or full day projects. We will be happy to talk to you and schedule a time that works within your schedule. Please click here to email Marion or call her at 303-688-1114 ext 32. 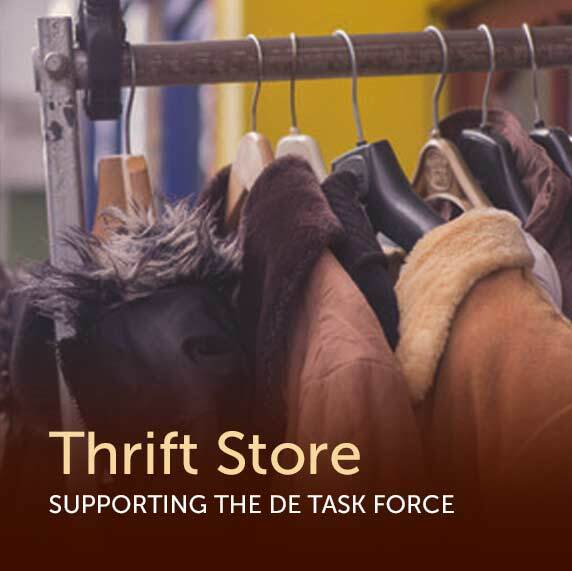 Store Pricing and Organizing: sorting and pricing of donated clothing, household goods, books etc. which are to be sold in the thrift store. Place items on the floor in an organized manner. Help with store displays. Assist customers and clients shopping in the store. Cashier: Ring up purchases at checkout counter. Operate a cash register and credit card machine in addition to bagging purchases. Must be willing to commit to a specific shift of 3.5 hours a week and be willing to have a background check. Have friendly communication, listening and organization skills. Store display and appearance: Organize display racks and shelves. Feature items in creative and attractive manner. Receiving donations: Sort and organize incoming donations. Must be able to lift 20 pounds. Have friendly communication, listening and organization skills. Greeter/Stocker: Greet clients and assist clients shopping in the Food Bank. Keep the Food Bank shelves sorted and stocked for clients. Assist clients with loading food into their cars. Warehouse Assistance: Accept and organize food donations in the warehouse. Duties include weighing food, checking expiration dates and shelving items as needed. Must be able to lift 25 pounds. 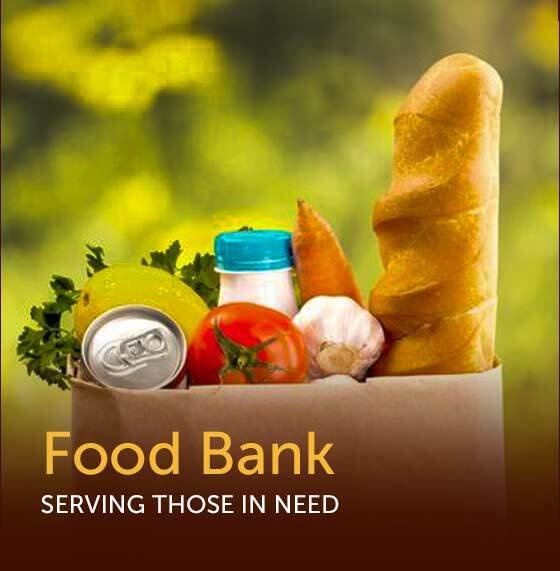 Truck Driver: Pick up food donations from local stores for the Food Bank. Must be able to lift 25 pounds. Must have proof of driver’s insurance and be willing to have a background check. Client Receptionist: Greet clients upon arrival and collect needed information. Clerical work, data entry, filing, sorting, and organizing information. Will be answering phones and directing calls in the mornings. Must be dependable in addition to possessing friendly communication, listening and organization skills. Interview and background check required.